Super Mario Run for Android is coming soon, because the pre-registration has gone live on Google Play. But, I would advise not getting too excited about it. Why? For starters, Nintendo is Nintendo. It's not making another Super Mario game for people to have fun. To the company, Mario is nothing but a money making machine. The company is infamous for its aggressive takedowns of fan mad versions of its games, mods, and even YouTube videos, just for one reason, these weren't making money for the company. And it shows in Super Mario Run. You would expect a running game much like Temple Run or Subway Surfers to be Free to play. But no, it is going to be partially free, with a premium IAP to unlock the full content. To make it worse, Super Mario Run cannot be played offline. The online DRM is there to combat piracy. This move has already been received badly on the iOS version , and caused Nintendo's shares to take a hit. 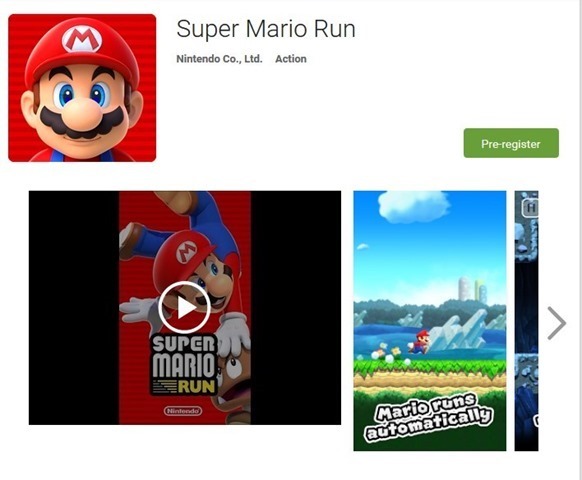 Nevertheless, if you want to play Super Mario Run on your Android device, head to the Play Store and pre-register for the game's launch. You will get a notification, when the game is released.